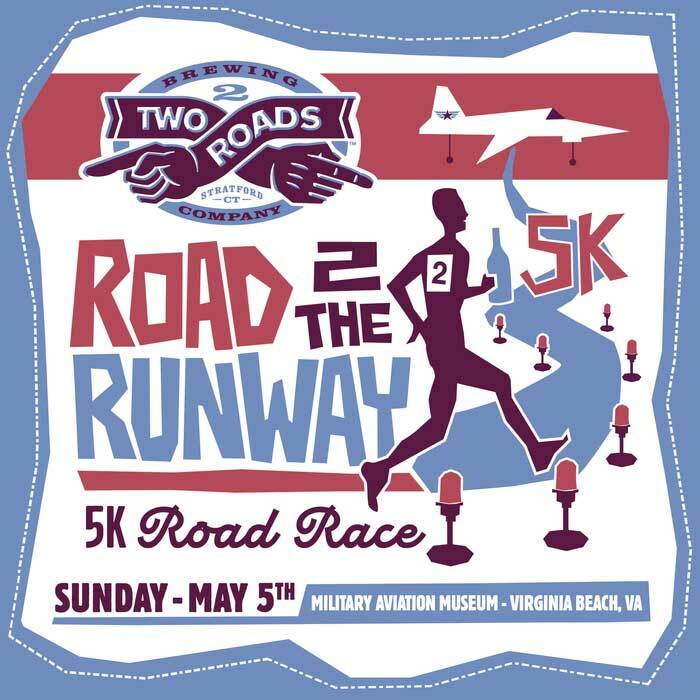 Join us on Sunday, May 5th for our 1st ever Two Roads Brewing Company – Run 2 the Runway 5K! The race will take place at the historic Military Aviation Museum. $35.00 registration fee includes: registration, all timing services, dry fit t-shirt and (2) beers on us. Vicki Vail’s food truck will be also be serving after the race is over. A portion of the proceeds will be donated to the Military Aviation Museum! Awards & after party go until 12noon!